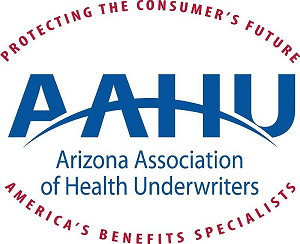 Jenn Farrell, AAHU Co-Legislative Chair, was presented the Legislative Achievement Award at the National Association of Health Underwriters’ Capitol Conference in Washington, D.C. on February 26th. significant contributions and performing outstanding service in connection with state legislative matters by developing and implementing methods to strengthen and improve NAHU’s stance in the industry. Nominees should reflect the NAHU vision and values as continually demonstrated in their outstanding legislative contributions to their respective states. A maximum of 5 awards will be given each year. Congratulations to Jenn on this awesome achievement! NAHU 2018 NATIONAL CONVENTION AWARD WINNERS! NAHU 2017 NATIONAL CONVENTION AWARD WINNERS!